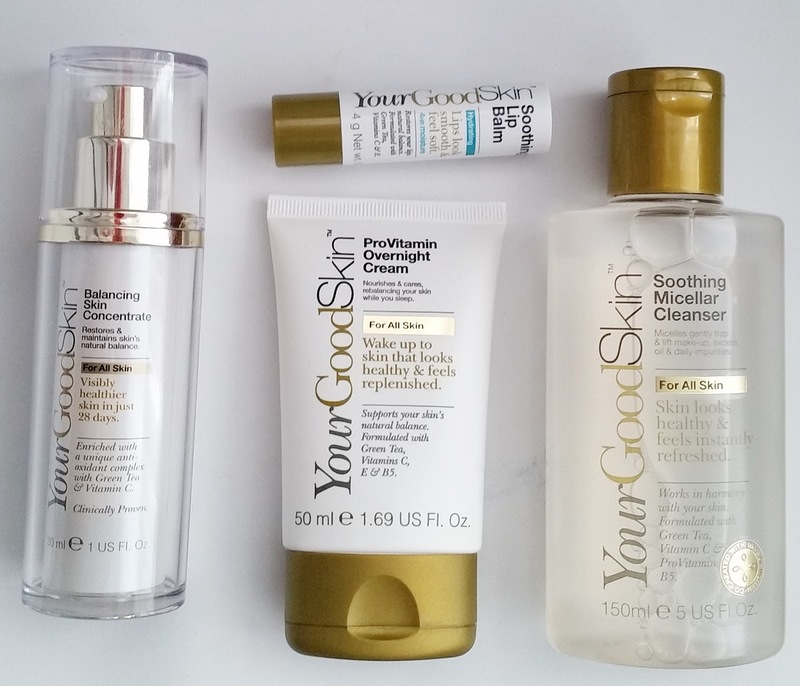 Home / SkinCare / YourGoodSkin Skincare Range. 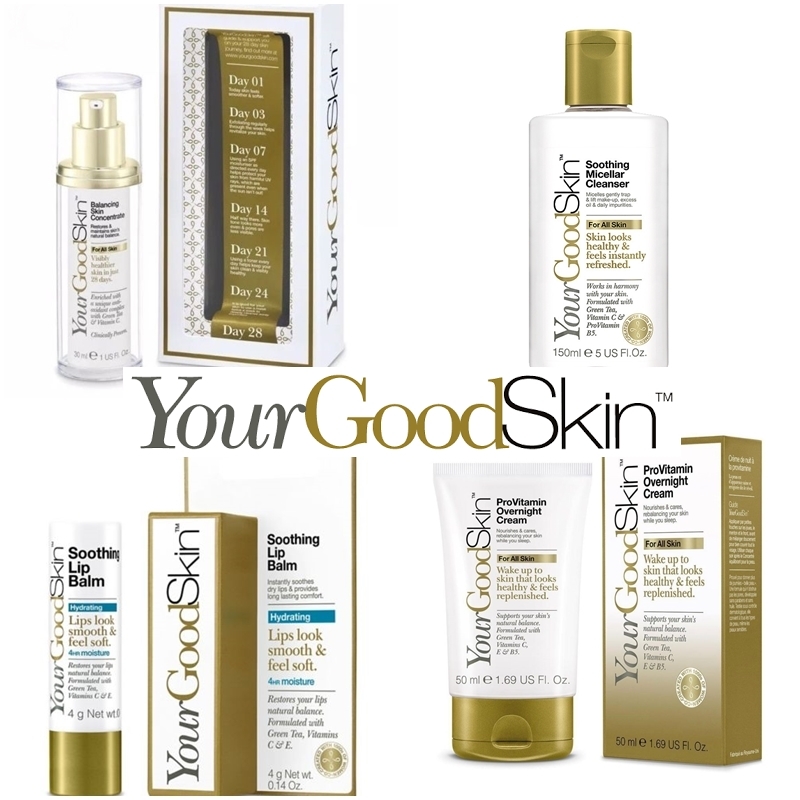 YourGoodSkin the skincare range developed by leading dermatologists to help improve the 5 key signs of healthier skin. A complete range is available that consists of the "Concentrate" that is the first product used after cleansing and always applied, before applying any other product from YourGoodSkin. The products available are easy to pick to be suited for you and your skin type, with clear directions labelled on all products giving you an easy-to-follow regime to follow. Cleansers - A range of cleansers that are a face wash, hot cloth cleanser, gel cleanser, makeup remover wipes and exfoliators. Balancing Skin Concentrate- The key product that tackles 5 keys signs to healthier skin whilst maintaining skins natural balance. Moisturising - An anti-oxidant day cream and an overnight pro-vitamin cream. Hydrating - Instant rescuer for dryness moisturiser and a soothing lip balm. Blemish Clearing - A cream cleanser, Tonic, Rapid Rescue and a base lotion. Mattifying - Anti-shine base lotion and immediate shine relief. My review of four products sent to me are of these products only and not of the full range. I did notice the ingredient Camellia sinensis leaf extract is always present in the four products which means, green tea extract is derived from leaves of the Camellia sinensis. Green tea extract is naturally rich in antioxidants, which has a cell-protecting function as well. It's a strong antioxidant effect that protects the skin from the damaging effect of free radicals. Printed on the skincare products packaging of YourGoodSkin states formulated with green tea and other vitamins are stated varying on which products you choose to use. Anyone who uses a micellar knows they gently trap and lift away dirt, makeup and impurities. Formulated with green tea, vitamin c and pro-vitamin B5 you apply liberally to a cotton pad and wipe over face and neck. Micellar waters are great in breaking down long-wear makeup and products that some cleansers cannot remove. You don't have to rinse off, but if your skin does become irritated by using a micellar cleanser you can then proceed to use your usual cleanser to get rid of any remaining surface impurities. I'm not a fan of leaving any cleanser on my skin, but the micellar did remove impurities and refresh my skin before proceeding to use a soft cleanser for a final rinse off. The non pore-blocking formula is formulated without parabens and is oil-free. Designed to improve the five key signs of visibly healthy skin these range from skin texture, moisture levels, oiliness, skin tone evenness and overall radiance. Using twice daily after cleansing and gently blending on cheeks, chin and the forehead, the concentrate does blend onto skin. I did find if i used a cleanser that was more oilier or had moisturising properties in it, the concentrate when applied to skin would just flake and peel off. Using a face cleanser from YourGoodSkin, the concentrate applies extremely well so you cant mix and match products from my experience if you want to include the concentrate in your regime. My skin did feel instantly mattified and soft (thanks to the dimethicone ingredient) but i was hoping for more hydration as i saw no radiance each time it was used. I would state it probably is more suitable for oilier skin types to help balance oil and mattify the skin when applied. Applying to skin at night and after the application of the balancing skin concentrate to nourish and care for your skin while you sleep. The cream is of lightweight texture and states it is formulated with Vitamins C, E and B5 and you guessed it green tea. The problem i found on application after the concentrate is that it flaked and peeled off leaving me more frustrated then ever before. The only time it applied correctly was if i skipped out the balancing skin concentrate, then the light textured cream absorbed leaving a soft and smooth base. The overnight cream is light, which works in its favour if you are not a fan, or your skin is not a fan of heavier night creams. 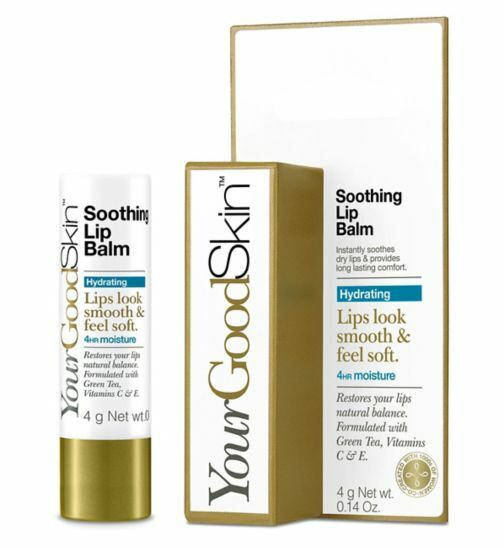 Soothing dry thirsty lips and providing long lasting comfort, the soothing lip balm provides 4hr moisture. Formulated with green tea and Vitamins C and E, the lip balm is bag friendly to reach for when your needing instant relief. You have to make sure the lip balm has absorbed before eating and drinking, which it does absorb quite quick leaving lips comforted without feeling greasy. 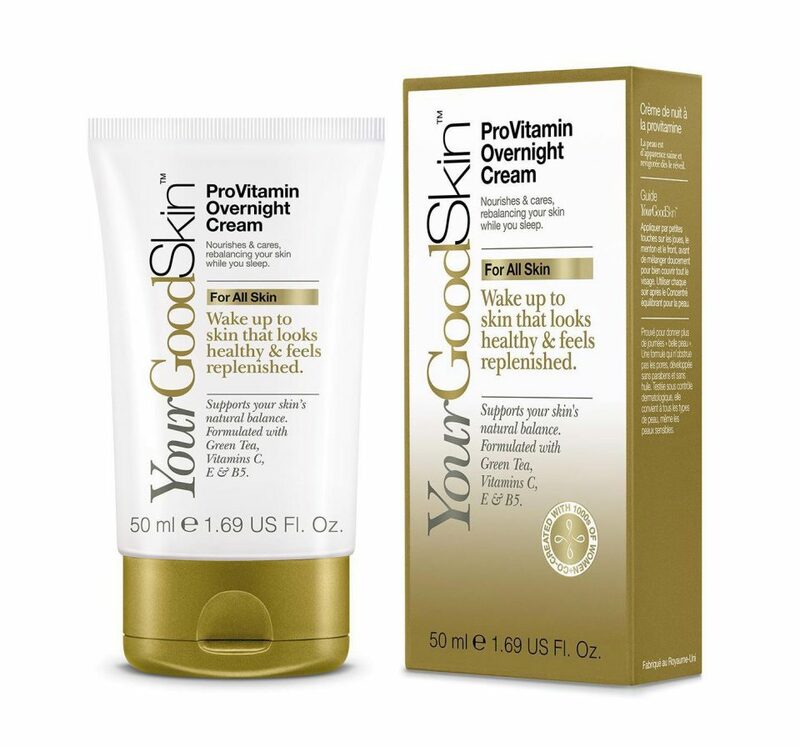 YourGoodSkin does provide a wide range of products that may just suit your skin better, then they suited mine. You only need to use a little of each product and i was impressed of the packaging and the clear-to-follow directions, there is nothing worse then trying to follow a complicated skincare routine that leaves you more confused then when u started. 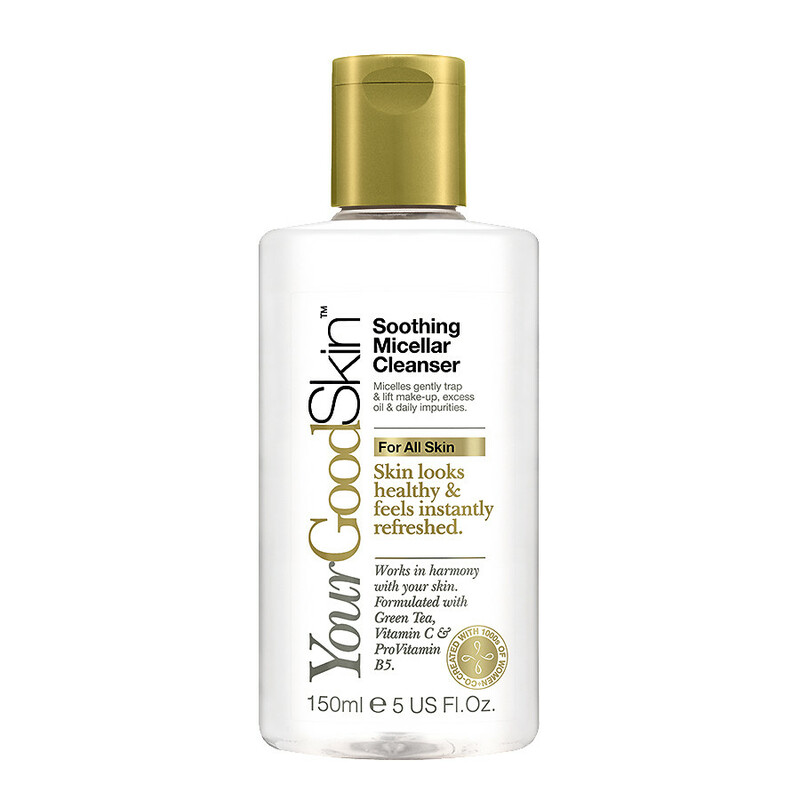 Check out the full range of YourGoodSkin at Boots. X Neil.